MOSCOW, January 14. / TASS /. The 18th Century "John the Baptist" icon and the letter of Russian Emperor Alexander II to the King of the Two Sicilies, Francis II, became part of the collection of the State Historical Museum in 2018. This is what museum director, Alexey Levykin, told TASS. "Our museum’s collection enlarges by hundreds of new items each year, both through beneficiaries and as result of archaeological excavations. In addition, we acquire items that are of interest to our museum. Our sponsors also help us. Thanks to them we were able to add the "John the Baptist" icon of the 18th century and the letter of Alexander II to the King of the Two Sicilies, Francis II, signed by both the emperor and Chancellor Gorchakov, to our collection." Levykin explained. The director highlighted a large gift from the Sergei Rodulgin Foundation. "Its costs run as high as tens of millions of rubles. We have already displayed the museum’s most valuable objects, which include a lavish silver bowl dating back to the times of Peter the Great, an elegant crafts table from the 15th Century (there are only a few such items left in the world and we possess the only one in Russia), and a folding screen of incredible beauty created by the artist Bilibin," Levykin noted. Furthermore, last year the museum got samples of ancient weapons from a Viking burial site discovered in Gnezdovo (the Smolensk Region) during archeological digs. 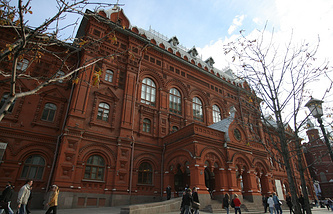 The State Historical Museum continues categorizing the items. "We should complete this process by 2025. I believe that we are facing a complex task, because 5 mln depository items is a lot. We have already listed millions of objects. We add more than 100,000 items to the state catalogue each year, by comparison for some museums this is the total amount of their collection," Levykin pointed out. 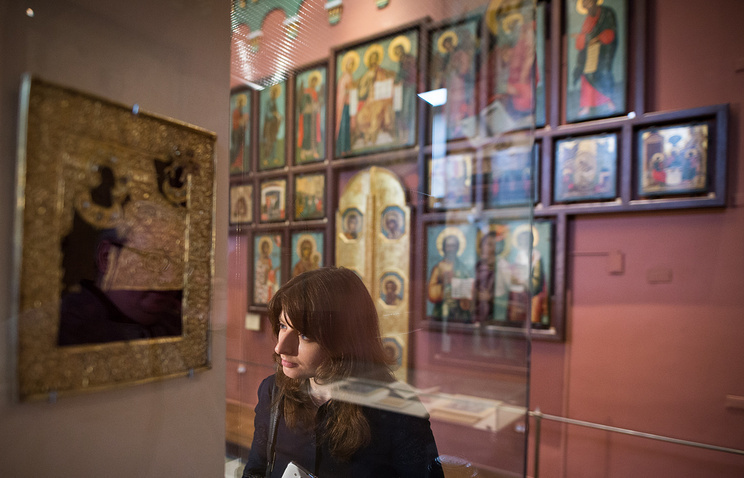 The state catalogue is an electronic database, which contains a brief profile about each item and each collection included in the Museum Fund of the Russian Federation. The purpose of the catalogue is to form a single data resource of basic information about museum objects and collections stored in all Russian state, municipal and private galleries. This system gives both experts and users access to information about the country's cultural heritage.